File photo: Minister of Health Terrence Deyalsingh. PHOTO BY ANIL RAMPERSAD. THE risk of malaria in TT is real after the country has been free of the disease since 1965. 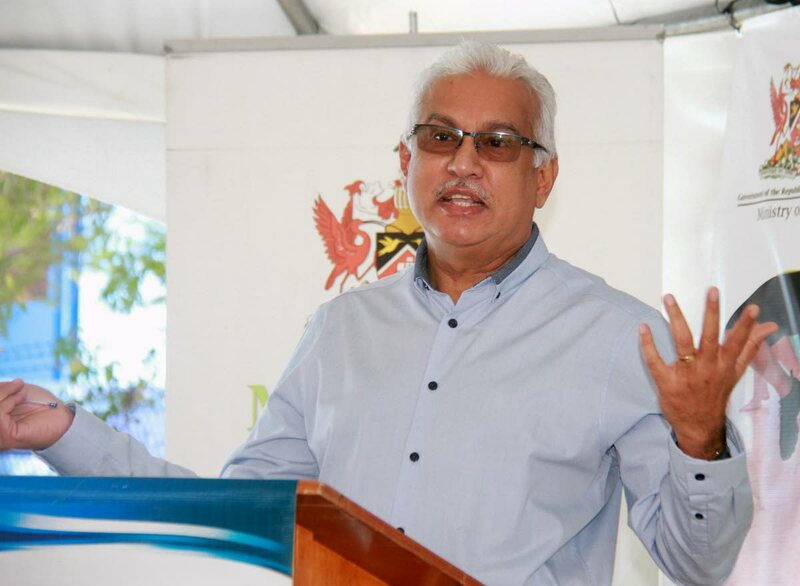 Health Minister Terrence Deyalsingh said the re-establishment of malaria in the country was something that needed to be prevented and citizens must be proactive in preventing the disease. He was addressing the issue during a news conference yesterday at the ministry’s head office, Park Street, Port of Spain. Acting chief medical officer Dr Vishwanath Partapsingh said the disease had an incubation period of between seven to 30 days. He revealed that for the year, there have been 13 confirmed cases of malaria. The disease was not usually fatal and could successfully be treated once detected and correctly treated. The culprit was the Anopheles mosquito which spread the disease biting one person and infecting another. The symptoms include headaches, fever and body aches. However, to ensure that someone was correctly diagnosed, a blood smear had to be done where doctors could observe the parasite causing the disease. The parasite could spread to the liver and then the blood cells, but the test results could be obtained within hours. Partapsingh said over the past ten years, the number of malaria cases have ranged between seven and 24. He said the authorities had to look at the person’s travel history, the range of countries and the actual number of cases of malaria in these countries. Deyalsingh said despite this country’s relative malaria-free condition, we could not turn a blind eye to what was happening globally and internationally. There were 3.4 billion cases of malaria globally with 212 cases in 2015 and 429,000 malarial deaths. The disease was endemic to Guyana, Suriname, Haiti and Belize. Cabinet announced an inter-ministerial committee on Wednesday comprising representatives from the Health Ministry, Customs and Excise, National Security, Tourism, the Caribbean Public Health Agency, the Pan American Health Organisation and the Tobago House of Assembly. Reply to "Malaria a real threat to TT"